The world of music and opera lost one of its great champions last week with the death of Philip Gossett. It would be hard to overstate Gossett’s contribution to our understanding and experience of opera, particularly of the works of Verdi and Rossini. 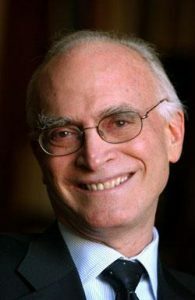 As the New York Times noted in their obituary, Gossett “was a pioneer in the creation of scholarly critical editions of opera scores,” and he used the knowledge he gleaned from archives and manuscripts not merely in the scholarly world, but also in the realm of performance, working with opera companies, conductors, and singers to bring the most accurate and authentic versions of both familiar and long-forgotten works to audiences around the world. In the Times, Ricardo Muti called Gossett “a blessing for the conductors that wanted, really, to bring back a certain dignity to the scores, to bring back the original ideas of the composers.” In recognition of his service to Italian opera, the Italian government awarded him the Cavaliere di Gran Croce, their highest civilian honor. 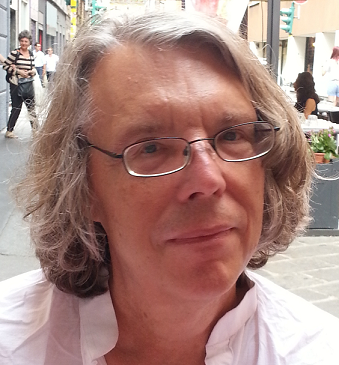 At the University of Chicago, Gossett served as the Robert W. Reneker Distinguished Service Professor of Music and also as Dean of Humanities. The . . .
“Opus 18, no. 1: Beethoven’s Painful Secret”* From his earliest days in Vienna Beethoven associated some of his compositions with friendship—a means by which to repair a disagreement or cement a relationship threatened by separation. One year after his arrival in Vienna, the twenty-three-year-old composer wrote to Eleonore von Breuning, his piano student and close childhood friend in Bonn. Beethoven blamed himself for a quarrel between them and hoped he could make amends by dedicating a short piano piece to her. In a lighter vein Beethoven composed his duet for viola and cello, ‘With Two Eyeglasses Obbligato,’ to play with his friend, the amateur Viennese cellist Nikolaus Zsemskall—both men were short-sighted. In the second half of 1798, the Bohemian Prince Franz Joseph Maximilian von Lobkowitz—himself a competent singer, violinist and cellist—commissioned both the aging Haydn and his talented student to write six string quartets. Haydn would compose only the two Opus 77s and the unfinished Opus 103, hindered by other obligations and failing health. 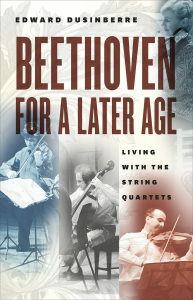 Towards the end of 1798 Beethoven began work on what would become his six Opus 18 quartets, and had probably finished them by 18 October 1800, when he received the second installment of a fee totaling . 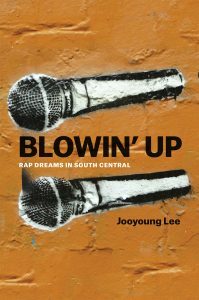 . .
From a recent review of Jooyoung Lee’s Blowin’ Up: Rap Dreams in South Central, at Pop Matters: One of the many powers of hip-hop, of course, is the intimacy it offers. Spend enough time listening to a certain rapper, and you begin to feel like you know that person as well as you do your own friends. Chuck D’s famous pronouncement that hip-hop is “CNN for black people”, pointed though it is, seems to miss part of the story. Hip-hop is CNN for white people, too, if you acknowledge the media’s systematic neglect of America’s black population. Through hip-hop, rappers are telling the stories that many journalists, and their publications, couldn’t be bothered to cover. As a white hip-hop fan, there’s a seductive tendency to congratulate one’s self for gaining cultural competencies in African American culture, as if memorizing Tupac lyrics and attending Wu-Tang concerts confers a master’s degree in black studies. But the truth is that even in its rawest, most detailed form, hip-hop gives only what is at best a keyhole-sized view of the African American experience. Jooyoung Lee’s Blowin’ Up: Rap Dreams in South Central represents a jump through the keyhole into the world of hip-hop as it is . 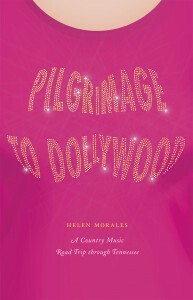 . .
Download your copy of our free e-book for April, Pilgrimage to Dollywood: A Country Music Road Trip through Tennessee by Helen Morales, here. *** A star par excellence, Dolly Parton is one of country music’s most likable personalities. Even a hard-rocking punk or orchestral aesthete can’t help cracking a smile or singing along with songs like “Jolene” and “9 to 5.” More than a mere singer or actress, Parton is a true cultural phenomenon, immediately recognizable and beloved for her talent, tinkling laugh, and steel magnolia spirit. She is also the only female star to have her own themed amusement park: Dollywood in Pigeon Forge, Tennessee. Every year thousands of fans flock to Dollywood to celebrate the icon, and Helen Morales is one of those fans. In Pilgrimage to Dollywood, Morales sets out to discover Parton’s Tennessee. Her travels begin at the top celebrity pilgrimage site of Elvis Presley’s Graceland, then take her to Loretta Lynn’s ranch in Hurricane Mills; the Country Music Hall of Fame and the Grand Ole Opry in Nashville; to Sevierville, Gatlinburg, and the Great Smoky Mountains National Park; and finally to Pigeon Forge, home of the “Dolly Homecoming Parade,” featuring the star herself as grand marshall. Morales’s . . .
Full of “blood and thunder“—words for the Lyric Opera of Chicago’s staging of Giuseppe Verdi’s Nabucco, an amalgamation of quasi-stories from the Book of Jeremiah and the Book of Daniel coalesced around a love triangle, here revived for the first time since 1998. On the heels of its opening—the full run is from January 23 to February 12—UCP hosted a talk and dinner featuring a lecture “Nabucco and the Verdi Edition” by Francesco Ives. That Verdi Edition, The Works of Giuseppe Verdi, is the most comprehensive critical edition of the composer’s works. In addition to publishing its many volumes, the University of Chicago Press also hosts a website devoted to all aspects of the project, which you can visit here; to do justice to the scope and necessity of the Verdi Edition, here’s an excerpt from “Why a Critical Edition?” on that same site: The need for a new edition of Verdi’s works is intimately tied to the history of earlier publications of the operas and other compositions. When Verdi completed the autograph orchestral manuscript of an opera, manuscript copies were made by the theater that commissioned the work or by his publisher (usually Casa Ricordi). These copies were used in performance, and most of the . . .
Our free ebook for November: Harvey G. Cohen’s Duke Ellington’s America *** Few American artists in any medium have enjoyed the international and lasting cultural impact of Duke Ellington. From jazz standards such as “Mood Indigo” and “Don’t Get Around Much Anymore,” to his longer, more orchestral suites, to his leadership of the stellar big band he toured and performed with for decades after most big bands folded, Ellington represented a singular, pathbreaking force in music over the course of a half-century. At the same time, as one of the most prominent black public figures in history, Ellington demonstrated leadership on questions of civil rights, equality, and America’s role in the world. 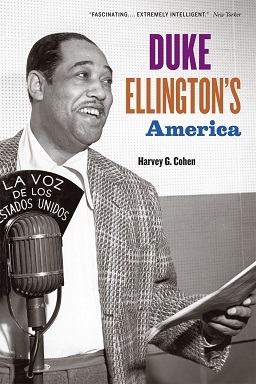 With Duke Ellington’s America, Harvey G. Cohen paints a vivid picture of Ellington’s life and times, taking him from his youth in the black middle class enclave of Washington, D.C., to the heights of worldwide acclaim. Mining extensive archives, many never before available, plus new interviews with Ellington’s friends, family, band members, and business associates, Cohen illuminates his constantly evolving approach to composition, performance, and the music business—as well as issues of race, equality and religion. Ellington’s own voice, meanwhile, animates the book throughout, giving Duke Ellington’s America an . . .
2015 marks the 50th anniversary of the Association for the Advancement of Creative Musicians, Inc.(AACM), founded on Chicago’s South Side by musicians Muhal Richard Abrams (pianist/composer), Jodie Christian (pianist), Steve McCall (drummer), and Phil Cohran (composer). A recent piece in the New York Times by Nate Chinen summarizes their achievements, in short: Over the half-century of its existence, the association has been one of this country’s great engines of experimental art, producing work with an irreducible breadth of scope and style. By now the organization’s significance derives not only from the example of its first wave—including Mr. Abrams, still formidable at 84—but also from an influence on countless uncompromising artists, many of whom are not even members of its chapters in Chicago and New York. The AACM’s legend extends beyond their Chicago origins—just as emphatically as it remains intertwined with them. 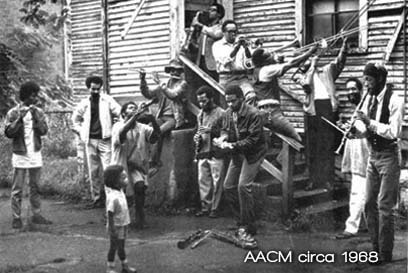 Aiming to “provide an atmosphere conducive to the development of its member artists and to continue the AACM legacy of providing leadership and vision for the development of creative music,” the AACM turned twentieth-century jazz on its head, rolled it sideways, stood it upright again, and then leaned on it with the right combination of grace and pressure. Among the events organized around this anniversary are Free at First . . .
On January 3, 2015, scholar Daniel Albright (1945–2015), the Ernest Bernbaum Professor of Literature at Harvard University—who counted himself, among other accolades, as an NEH Fellow, a Guggenheim Fellow, and a Berlin Prize Fellow at the American Academy in Berlin—passed away unexpectedly. The author of sixteen books, which straddled a range of interests from literary criticism and musicology to panaesthetics and the history of modernism, Albright taught in three departments at Harvard, where he had worked for the past decade. From an article in the Harvard Crimson: As an undergraduate at Rice University, Albright originally declared a major in mathematics before switching to English. Upon graduating from Rice in 1967, he attended Yale, where he received his M.Phil in 1969 and his Ph.D. in 1970. Prior to his arrival at Harvard in 2003, Albright taught at the University of Virginia, the University of Munich, the University of Rochester, and the Eastman School of Music. Once at Harvard, he taught in the English, Music, and Comparative Literature departments. English Department chair and professor W. James Simpson spoke highly of Albright’s career in Cambridge. “Whenever Dan was in a room, the room was full of fun and amusement and delight because of his range of literary allusions . 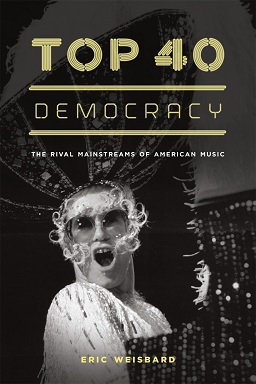 . .
Eric Weisbard’s Top 40 Democracy: The Rival Mainstreams of American Music considers the shifting terrain of the pop music landscape, in which FM radio (once an indisputably dominant medium) constructed multiple mainstreams, tailoring each to target communities built on race, gender, class, and social identity. Charting (no pun intended) how categories rivaled and pushed against each other in their rise to reach American audiences, the book posits a counterintuitive notion: when even the blandest incarnation of a particular sub-group (the Isley Brothers version of R & B, for instance) rose to the top of the charts, so too did the visibility of that group’s culture and perspective, making musical formatting one of the master narratives of late-twentieth-century identity. In a recent piece for the Sound Studies blog, Weisbard wrote about the rise of both Taylor Swift and, via mid-term elections, the Republican Party: The genius, and curse, of the commercial-cultural system that produced Taylor Swift’s Top 40 democracy win in the week of the 2014 elections, is that its disposition is inherently centrist. Our dominant music formats, rival mainstreams engaged in friendly combat rather than culture war, locked into place by the early 1970s. That it happened right then was a . . .